Hello folks, I was hoping I can get some help with a build I recently bought and attempted to work on. It's the thermaltake view 71 RGB and a few things off newegg. I got a liquid cpu cooler as well which is the thermaltake water 3.0 ARGB sync edition, I put everything together and want to make sure it won't burn out all this money I just spent. I put together the computer and it seemed to work out but I been reading online some issues that may arise. The motherboard I got is the MSI MPG Z390 Pro Carbon which has plenty of RGB headers which I am trying to take advantage of. I got my cpu cooler fans hooked up to the pump_fan header which I believe is right but being three different fans worries me. The RGB is hooked up to the 3 pin rainbow header which I am sure is correct, the RGB matches the ram and motherboard RGB lighting as well. The case fans I have no idea about, they have 5 pins which hook into a controller and that hooks into a 4 pin header. I am worried that may overload the header as well and I was wondering if I could plug the 5 pins into a 4 pin in three different fan headers? I haven't built a computer in 7 years and I am so new but it's hard to get advice with all these different products on the table. The case fans have a issue with one of them to quit spinning randomly. My plan is to match the image Thermaltake provides on newegg with this build till I switch to liquid cooling, I also have no idea how to vertical plug a graphics card but I think that is simple to learn. 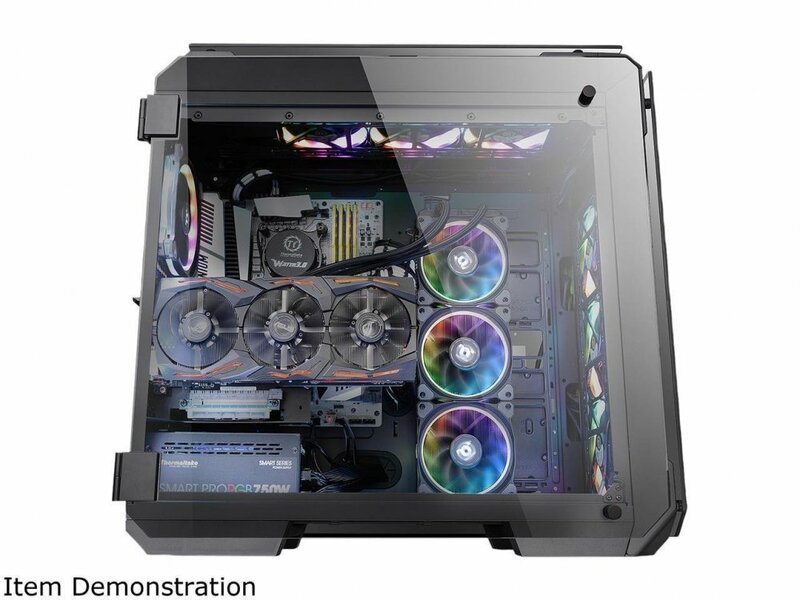 -Will replace case fans with newer sets along with adding a few more for better airflow and I have no idea how to connect all of this and sync it together cause it's hard to find advice with all of these different products and pin types and stuff! Again I am sorry if this is a waste of time or I should figure this out on my own, I am trying but work is getting slow and I would like to play some games on my free time which I rarely have.